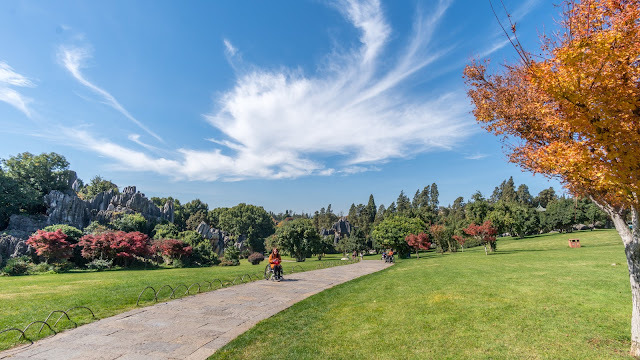 Many people asked me what is there in Kunming, honestly, I will say nothing. It is just a city with a dirty lake called Dianchi Lake. The locals love there though but you really do not wish to waste your flight ticket, accommodation and time for that. Trust me. The best part of Kunming is located 82km away which is a town named Shilin. 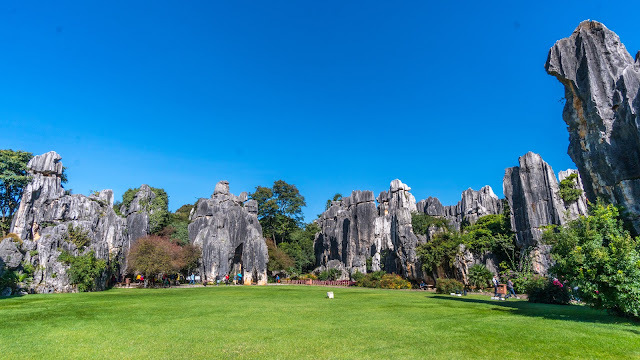 Kunming Stone Forest, Shilin in Chinese, is a spectacular set of limestone groups and the representative of south China’s karst landscape. 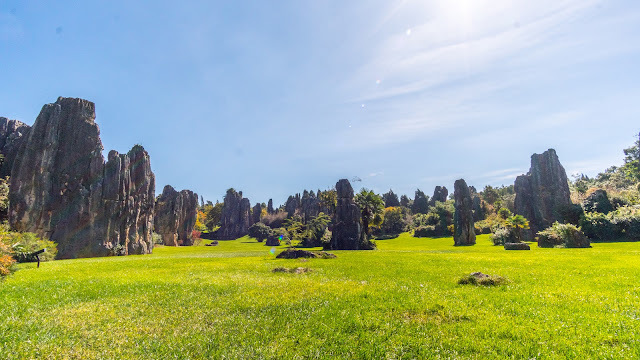 Known since the Ming Dynasty (1368-1644) as the 'First Wonder of the World', it is one of the most important attractions of Yunnan. 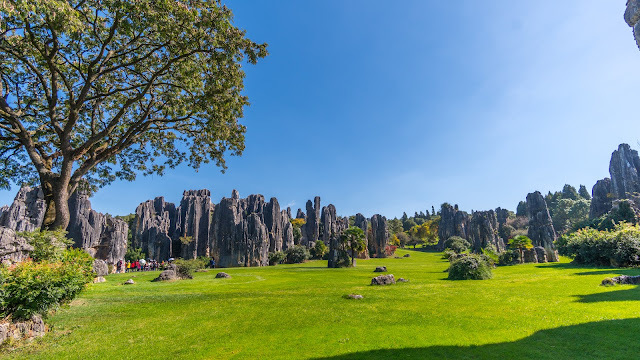 An old local goes that if you have visited Kunming without seeing the Stone Forest, you have wasted your time. From the airport: There is a special bus line straight to this location from 9.30am - 6.00pm with 8 trips per day. The return bus is from 8.20am - 5.50pm with 8 trips per day as well. The cost is CNY45/trip. The trip takes about slightly more than 2 hours. From Kunming South Railway Station: Take a bullet train to Shilin West first, which takes about 20 minutes, CNY29 for a first class seat, CNY18 for a second one. Upon arrival, you can take Bus 99 to the location. It takes about 50 minutes and costs CNY8-10. The bus is available from 7.50am - 10:30pm for every 30 minutes. From Kunming East Coach Station (at the East 3rd Ring Road area): The regular bus is available from 8.00am - 6.00pm and costs CNY34. The trip is also takes about slightly more than 2 hours. The ticket price is CNY175/pax. Half price for kids between 6-18 years old and free for kids below 6 years old or 1.2meter. The minimum hours recommended you will be spending here is 4 hours. You really can spend the whole day here since the opening hours is from 7.00am - 6.00pm (daily). 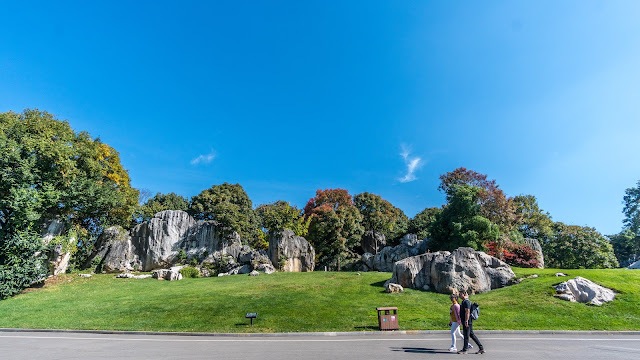 The stone forest is HUGE! It is 400sq km which is actually impossible to explore everything in one day. However, do not worry. There is a battery car in the park that will take you around the forest for unlimited times at the price of CNY25/pax. This will save a lot of leg works. 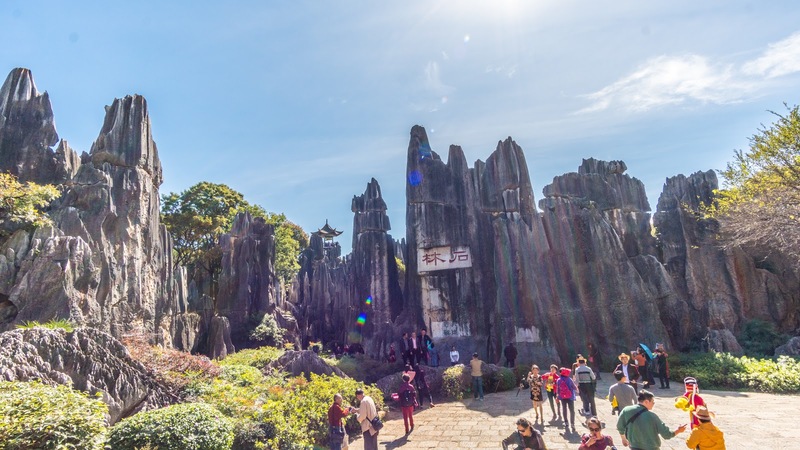 You can also hire a guide before you enter the forest at the price of CNY200-300 per group. Most of them only speaks Mandarin so I am not so sure if there is any of them can speak in English but it is very highly unlikely as for date. I do believe in the future, China will take English language more seriously. By having a guide, it is very useful in giving yourself more insights about this forest that you can't find on any description board in the forest. Another reason to have a guide because this forest is not very well planned with the route that you should start first. In another word, it is not so tourist friendly. Maybe this is the way to make you hire their guides. 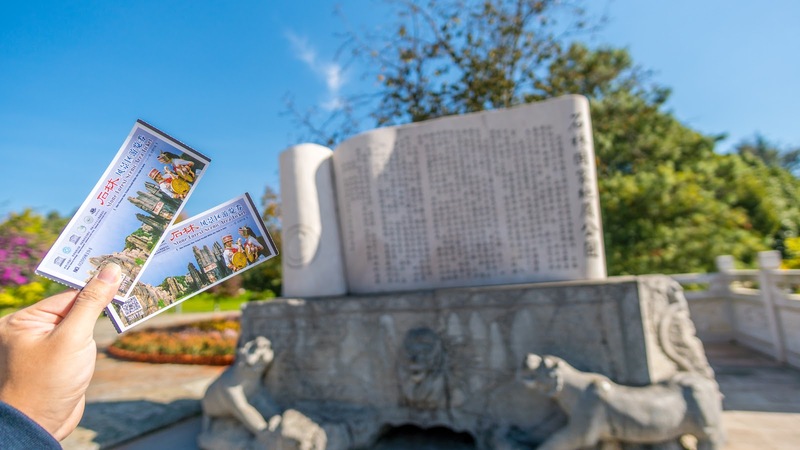 There are plenty of guides out there at the entrance. You will never run out of. There is no best time to visit Kunming Stone Forest, any time is a good time here. There is live performance available at 2.00pm and 3.00pm, daily. The best part is the dance show is free. 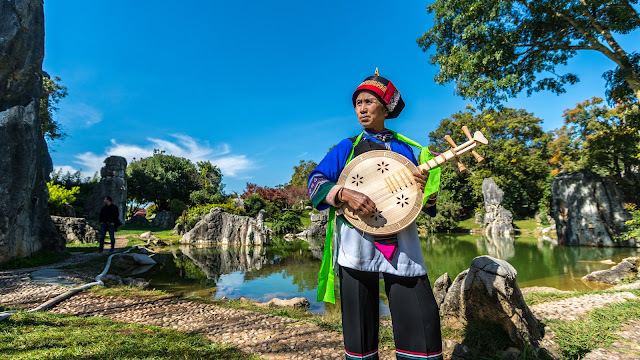 Kunming is the home of the Yi minority group as there are 26 indigenous groups in Yunnan province that is recognized by the China government and Yi minority is one of them and is the biggest one in Yunnan province. You will see the cultural performance by the Yi tribe. Walking through the site, visitors marvel at the natural stone masterpieces and are bewitched by the intricate formations. 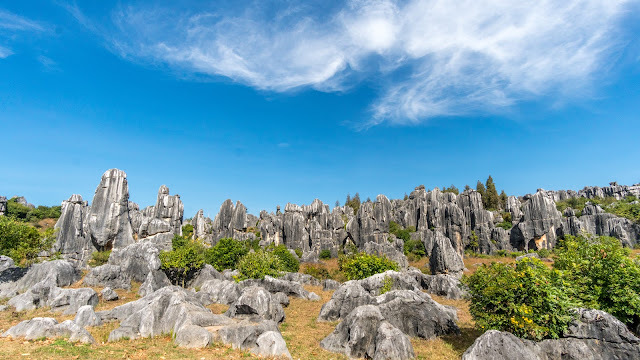 The magnificent, strange and steep landscape creates countless labyrinthine vistas, including: Greater Stone Forest, Lesser Stone Forest and Naigu Stone Forest, all of which feature stones in various formations. 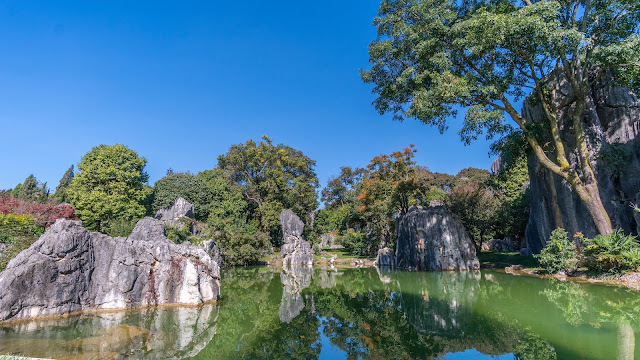 Animals, plants, and even human figures can be found here. Some are elegant, some are rugged, and each is lifelike with its own distinguishing characteristics. 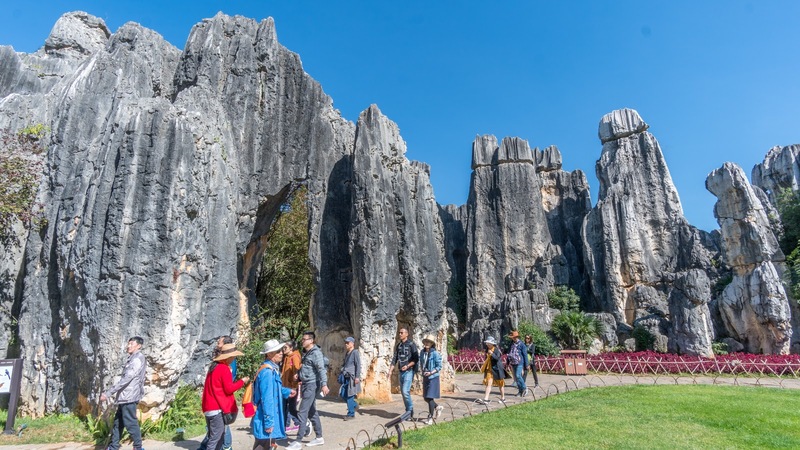 Subterranean Stone Forest in Zhiyun Cave, distributed underground among several caves and occupying a total area of about three square kilometers (720 acres). Qifeng Cave, composed of Penfeng Cave, Hongxi Spring and an underground river. From August to November, gales lasting two to three minutes sweep out of the cave every 30 minutes. Long Lake is a karsts lake that is three kilometers (two miles) long but only 300 meters (zero point two miles) wide. 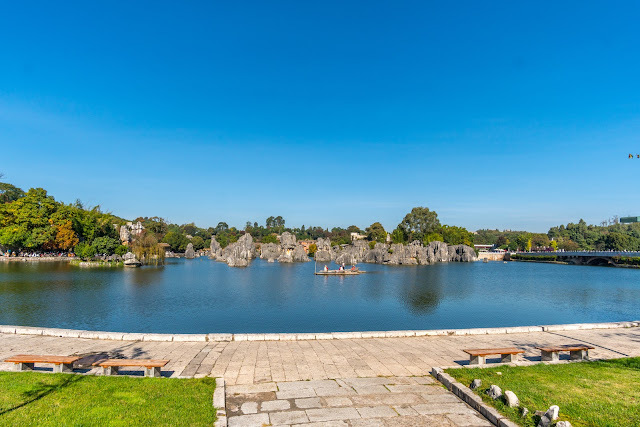 The lake features underwater stalagmites and stalactites and a small island in the center of the water. Since it has been classified as UNESCO heritage site, you will not be surprised to see a lot of tourists here. Most of them are from the mainland China. It is a must visit for them whenever they come to Kunming. Geologists say the Stone Forest is a typical example of karsts topography. Approximately 270 million years ago - during the carboniferous period of the Paleozoic era - the region was a vast expanse of sea. 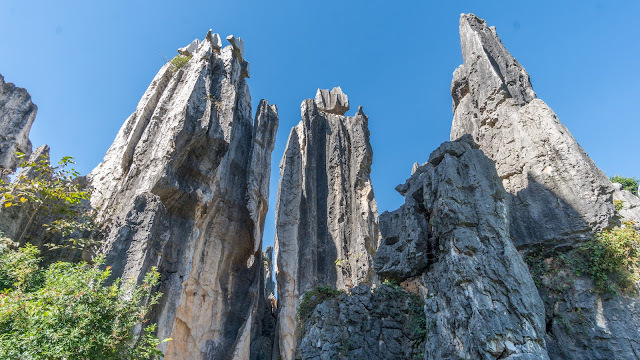 Over time, the movements of the lithosphere gradually caused a retreat of the waters and the rise of the limestone landscape. 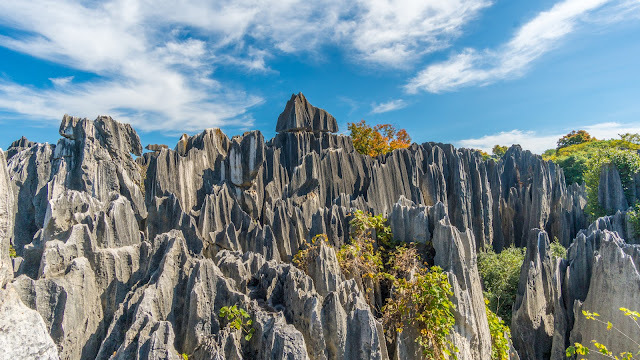 Due to constant erosion by the elements, the area finally developed into the present-day appearance. As you can see some routes require you to have a slightly slimmer body figure to pass through. 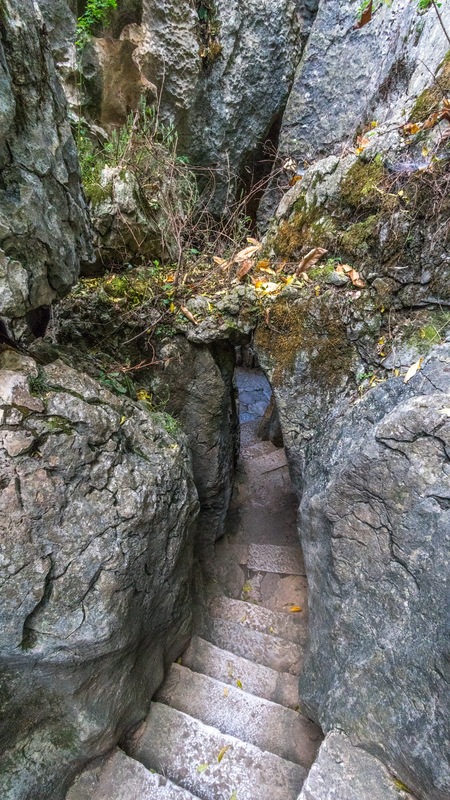 It is quite fun and interesting to pass through between these rocks in a forest which is full of rocks. It is like a maze. Without a guide, you really will get lost in here. However, it is pretty enjoying to find your way out from the maze. The only problem is will get tired faster and spending more time in here if you are in a rush. 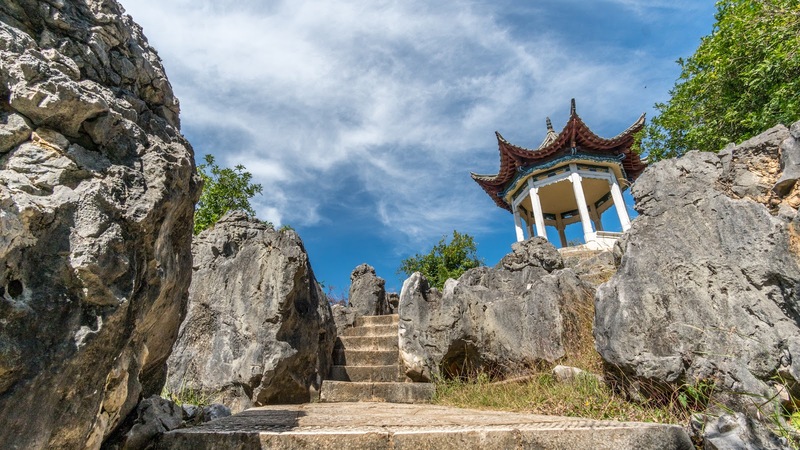 Many beautiful legends originate in this magical place, passed along by the native people known as Sani, a branch of the Yi ethnic group. One particular story about the faithful love of Ashima, a beautiful, clever and warm-hearted Sani girl, is the most popular and has been told for thousands of years. The Sani people celebrate their national festival - the Torch Festival - every lunar year on June 24. They take part in traditional performances such as wrestling, bull fighting, pole-climbing, dragon-playing, lion-dancing and the A-xi Moon Dance. During this time, the place is alive with a particularly joyful, festive atmosphere, making the area even more attractive than usual. 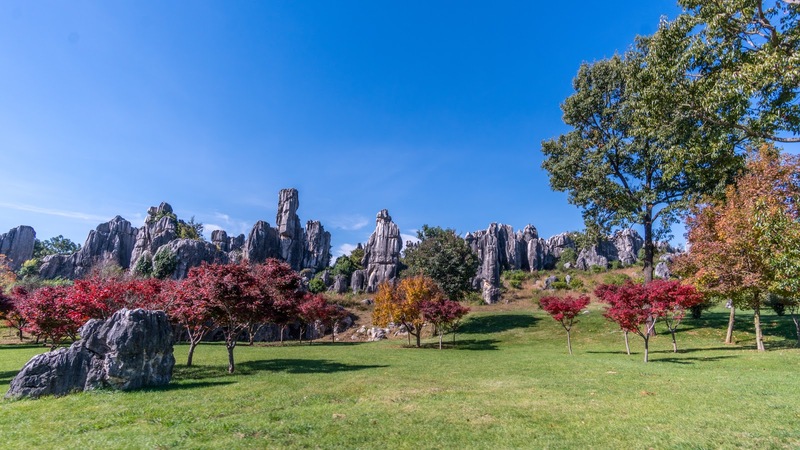 However, the Stone Forest - with its sculptures engraved by nature, herself - is always a true miracle for visitors to behold. Overall, it is a breathtaking experience for me to be here to witness the power of our mother nature. The ticket price is indeed very expensive but it is definitely worth while especially when you take one whole day at this place instead of half day. 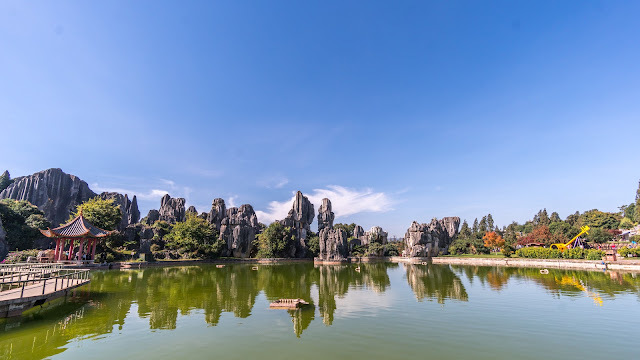 This is must in your bucket list if you are here in Kunming.